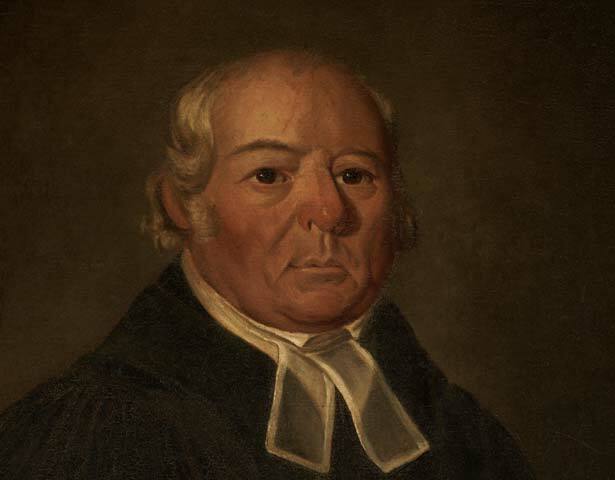 The Reverend Samuel Marsden, Chaplain to New South Wales (1765-1838), was the driving force behind the establishment of Anglican mission stations in New Zealand in the early 19th century. Born in England and based in New South Wales, Marsden was a member of the Church Missionary Society (CMS). His work and that of his missionaries helped build up a relationship of trust with Māori chiefs, paving the way for the acceptance of an official Crown presence in New Zealand. Marsden protested to the British authorities about the trade in Māori heads, the involvement of the British in tribal conflicts, and lawlessness in Kororāreka, a mixed-race settlement in the Bay of Islands. He helped convince the Governor of New South Wales to support the appointment of a British Resident in New Zealand to deal with perceived anarchy in British settlements – a crucial link in the chain of events that ultimately led to Britain deciding to seek sovereignty over New Zealand. We have 2 events in history, 12 biographies, 3 articles, 1 comment related to Samuel Marsden. The recent publication in 2008 of a new book about Samuel Marsden opens up a huge new world of information about him. "Samuel Marsden: Altar Ego" by Richard Quinn, explores the hitherto little-known background to Marsden's activities in both Australia and New Zealand. Far from the dedicated, self-effacing and generous man of the cloth as he is so often depicted, the opposite seems to be nearer the truth. In Australia he is reviled with good reason: in New Zealand he is accepted as a pseudo saint. Interested in history? You should read this book.